March 14 is celebrated as Pi Day every year around the world. To celebrate this day, the Raspberry Pi Foundation yesterday released a new model of the Raspberry Pi – The Raspberry Pi 3 Model B+. The company has sold more than 9 million Raspberry Pi 3 units and a total of 19 million Raspberry Pi models until now. 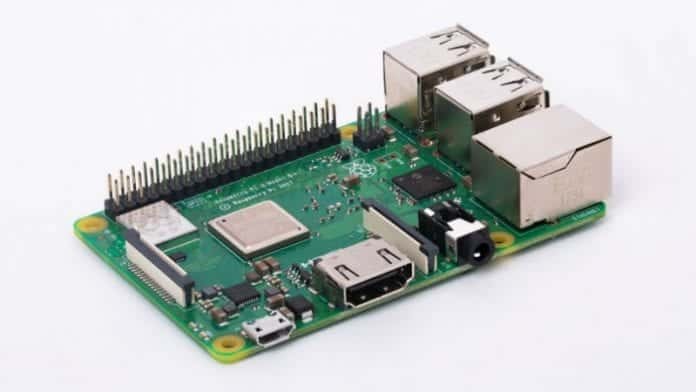 The updated version of the processor in the Pi 3 Model B can reach higher clock frequencies (or run at lower voltages to reduce power consumption), and more accurately monitor and control the temperature of the chip, according to blog post by Raspberry Pi chief Eben Upton. The Raspberry Pi 3 Model B+ also delivers dual-band 2.4GHz and 5GHz wireless connectivity and Gigabit Ethernet over a USB 2.0 connection, which supports 315Mbps (over 3 times speed of previous boards). The dual-band wireless LAN comes with FCC certification that makes it easy and cheap to commercially launch products based on the Raspberry Pi 3 Model B+. The Raspberry Pi 3 Model B+ is currently available for purchase from its website for $35. Further, the company will continue to sell its previous models, Raspberry Pi 1 B+, Raspberry Pi 2B, and Raspberry Pi 3B for $25, $35, and $35 respectively.